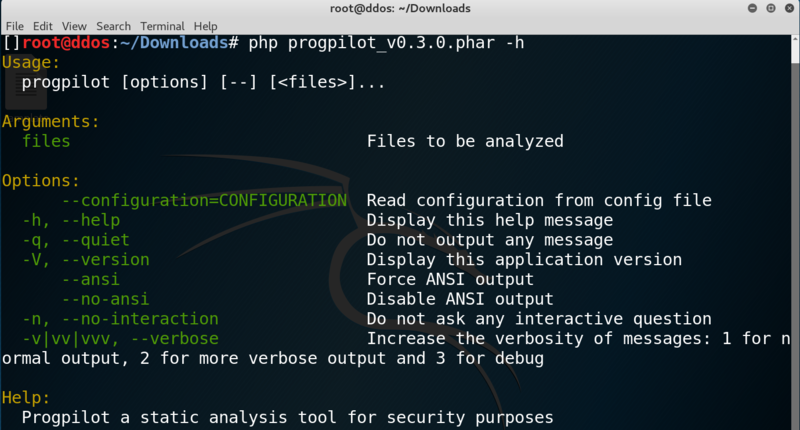 A static analyzer for security purposes – Only PHP language is currently supported. Download the latest phar archive in releases folder (or builds folder for dev versions). Optional: configure your analysis with a yaml file. Optional : use the up-to-date security files configuration in package/src/uptodate_data folder. Use getcomposer to install progpilot. Then you could try the following example. All files (composer.json, example1.php, source_code1.php) used in this example are in the projects/example folder. For more examples look at this page.